Hey folks! 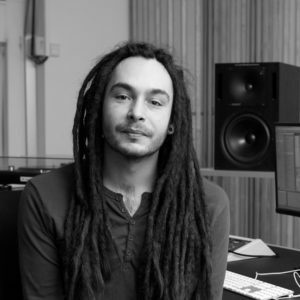 Merlyn Silva here, Ableton Certified Trainer and musician based in Aarhus, Denmark. I’m really stoked to have joined the Warp Academy team! This is my first video in a mini-series focused on Ableton’s Simpler. Simpler underwent some mad changes when Live 9.5 was released, including in-device polyphonic warping, a new selection of analog-modelled filter circuits, and the introduction of three distinct ‘modes’. We’re going to start off by looking at the Simpler Classic Mode. In combination with the new Warp feature, we’ll be taking a sample of my own voice and turning it into a gliding, unique lead instrument. Over the next three videos, we’re going to have a deeper look at these modes; as well as walking through their key functions in the context of a quirky, Future Bass-inspired track. We’ll pick up some neat tricks and workflows that you can apply to your own music making. You can download the project files for free at the top of this blog post, so you can have a deeper look at the techniques I’ll be showing you. I hope you enjoy!